Jessica has lived in the Uptown / Highland Park areas since she moved to Texas over 10 years ago. She has quickly become very familiar with the Dallas neighborhoods, schools, architecture and history of Dallas. As one of the largest investments and most valued assets, Jessica understands the importance of helping her clients choose a home that best suits their needs and style. With this in mind, she takes care to scour the market for each client to ensure they find just the right fit that will bring them joy for years. 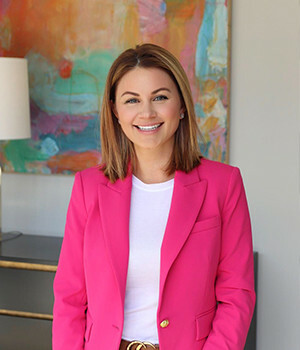 Jessica upholds the utmost professionalism in building and maintaining her relationships; she is trusted to help buyers discover the best properties of design and character. With attention to detail and a background in hospitality management, she is able to consistently deliver results throughout every real estate transaction. She offers her clients research, intellect and hard work. Jessica has a strong aptitude for negotiating and always makes sure the transaction is managed through closing with confidence and ease.